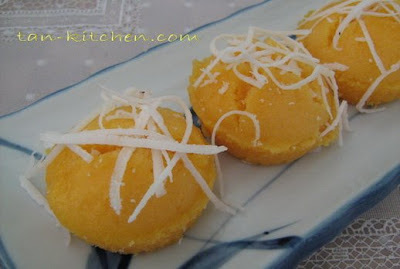 Thai Mango Sweet Sticky Rice Dessert smelling mango sweet. Know as a “Khao Niaow Ma Muang” is an absolute must try! 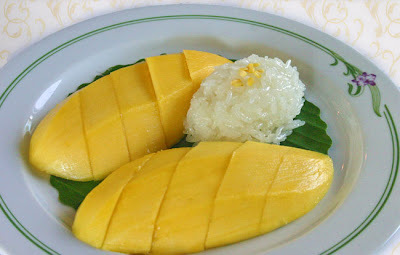 This easy Thai dessert starts with Thai sweet rice (also called sticky rice) which is surrounded by coconut milk, then topped with slices of fresh mango. If you like mangos, you're going to love this very simple but tropical dessert. Mmmmm! 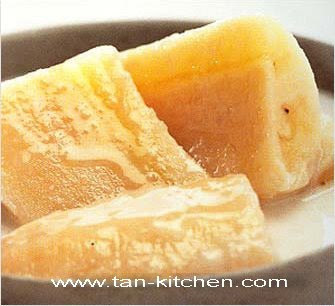 1 1/4 cups raw sticky rice (sweet or glutinous rice ). Wash and rinse the sticky rice well. Add enough water to the rice so until the water is about 1/4" above the rice surface. 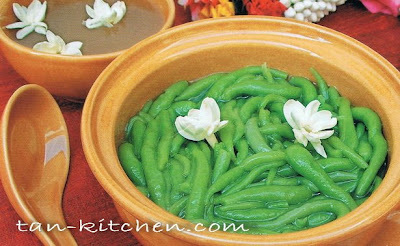 Soak the glutinous rice in some water (just enough water to cover it) for 3-4 hours or over the night. This will make the sticky rice easier to cook. Cook rice in an automatic rice cooker or in a bowl in a steamer. Do not open the rice until fully cooked (about 20-25 mins). Heat, on low, 3/4 cup of coconut milk in a small saucepan...and then..
Add sugar and 1/2 tbsp salt and rice flour to the coconut milk and cook until dissolved. Remove from heat and pour into cooked rice. Stir to mix well and set aside to let stand for about 15 mins. Stir until the salt is dissolved. This makes the topping sauce. To serve, place sliced mangoes on a side of a serving disk. Spoon some seasoned sticky rice on the other side. Top the rice with 1 or 2 tsp of coconut milk and serve. 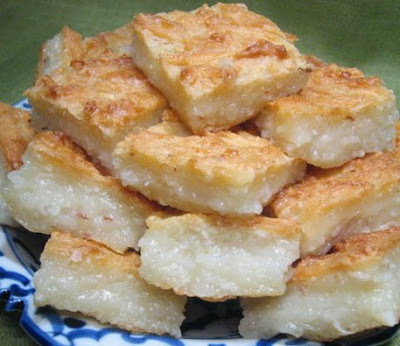 Try to use Thai sticky rice if possible. Do not shake the coconut milk can before opening. Spoon out only the thick part that's usually on top. 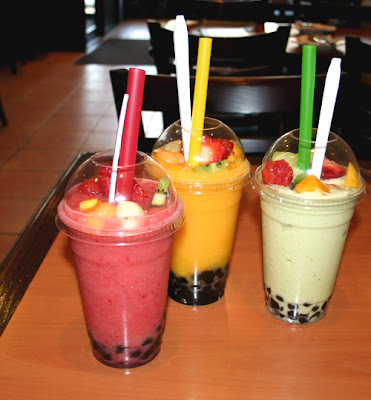 This makes about 6 servings.